An ambitious professional services company has added new senior staff and rebranded to reflect the wider range of services on offer. Entrepreneur and people management expert Wendy Dean has overseen rapid growth since founding Strategi-hr just 16 months ago. 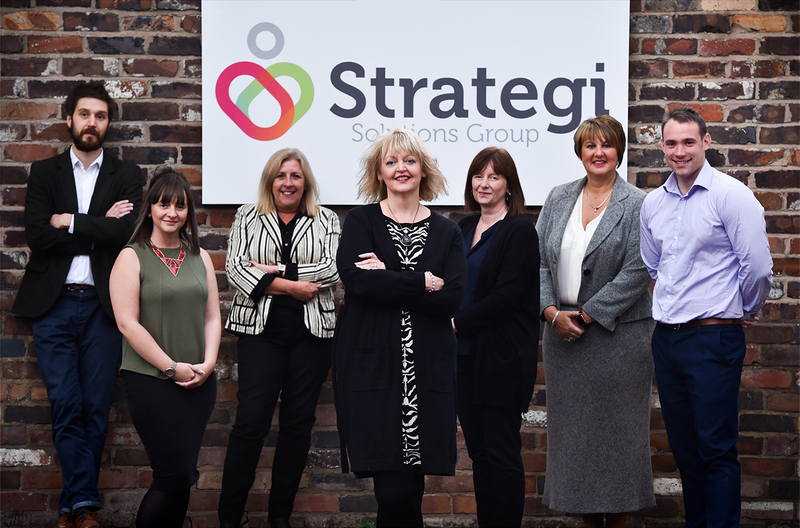 Moving forward, the company will be branded as the Strategi Solutions Group, while three executive level appointments have broadened the services on offer and given the team the capacity to work across the whole of the UK. The company has also moved to new offices at The White House, The Mount, Etruria Road, Basford, Newcastle-under-Lyme, where it has room for further growth. Lyn Rowe joins the eight-strong team as Sales and Marketing Director following a highly successful career at Staffordshire Sentinel Newspapers. Lyn is joined at Strategi Solutions Group by Rob Fisher and Paul Weaver. Rob joins as HR Services Director, having previously served in senior executive HR roles at Ornua Nutrition Ingredients, Steelite International and Royal Crown Derby, while Paul has more than 15 years-experience as a graphic designer and previously served as Design Studio Manager with Local World Media based in Stoke-on-Trent. 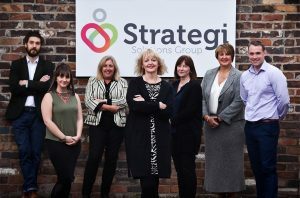 Wendy Dean said: “We are thrilled to add Lyn, Rob and Paul to our expanding business and they join Director of Learning and Development, Penny Whitelock, and myself on the Strategi Solutions senior leadership team. “My own role has been in senior HR and people management, working at Director level to support strategic development and to help companies to develop with the support of their staff. As Media Development Director with Sentinel Newspapers, Lyn Rowe led on developing new commercial opportunities and managed a team of sales and media staff. “I’m excited to take on a new challenge at a growing, go-ahead company,” said Lyn. “We will deliver professional, high level sales and marketing skills for companies of all sizes across the UK, helping them to develop opportunities for growth. Rob Fisher has previously worked with Wendy Dean when she was a Director at major UK tableware manufacture, Steelite International. To find out more about the Strategi Solutions Group go online to www.strategi-hr.com or telephone 01782 969444.